By the time he was able to walk, Shamus Chan had picked up a keen interest in martial arts from his father. At 21 years old, he became an Aikido deshi for five years, training full time and teaching classes. 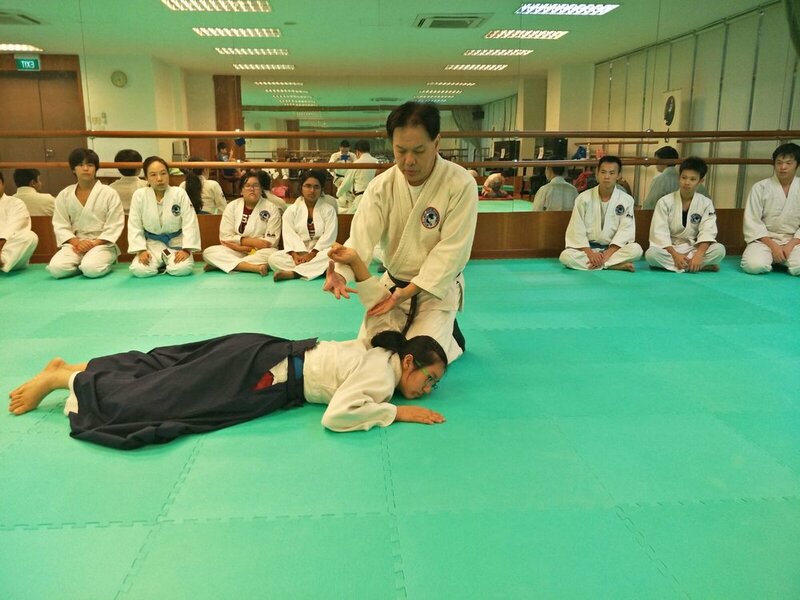 As a full time Aikido Instructor, Shamus conducted classes all over Singapore and became especially involved in teaching Aikido to students under the Singapore Sports Education Programme. In 2014, Shamus started Aikido Tai Shin Kai together with his father and continues to bring this beautiful art to more people. Patrick interest in martial arts was inspired by Bruce Lee. Since young, he has trained in various arts including Taekwondo, Karate, Northern Shaolin, & Tai Chi. Patrick was with the Singapore Police Force for 14 years where he spend most his career as an Investigator with the Criminal Investigation Department. His Martial Arts skills proved to be useful in those years. Patrick started learning Aikido together with Shamus in 2006. His passion is to share his love for Aikido with as many as possible. Born three months prematurely, Jonah suffered from multiple health complications. Through Aikido training, he has managed to overcome his childhood health issues. Jonah is a familiar face in all our classes and almost every student will have trained under him at some point. Like the rest of his family, Jonah has a keen interest in martial arts. Aside from Aikido, he also has training in Kali and Systema. Aikido Tai Shin Kai was started by a family of dedicated Aikido practitioners with the goal of sharing the art and its lessons with others. The fighting spirit promoted by martial arts has helped the family through many tough times and we aim to promote its intrinsic values of humility, harmony, discipline and perseverance at our school. The patriarch of the Chan family, Patrick, began his martial arts training in his teens, picking up six different arts over the years. The skills he learned served him well in his 14-year police officer career. He passion for martial arts was inherited by his eldest son. At 21 years old, Shamus chose to focus on his Aikido training, becoming a deshi - full time Aikido disciple - for 5 years. The Chan family faced many trials as a young family, beginning with the birth of their second son, Sean, born with Down Syndrome at a time when there was little social support for Down Syndrome children. The devastated parents were faced with a further shock a year later when their third son, Jonah, was born three months premature with major complications. Doctors advised the parents that he had no chance of survival and recommended that the life support machines be turned off - a suggestion that met with "strong" refusal from Patrick. Jonah's medical condition would hover precariously for years. Even as Jonah struggled for his life, the Chan's youngest son, Enoch was born. He would be the greatest blow to the young family. Also born with Down Syndrome, he suffered further from a congenital heart abnormality. A heart operation brought on further complications resulting in a tracheotomy which cost the young child his voice. The medical conditions of his sons interfered with Patrick's career as a police detective and he soon made the career change to pharmaceutical sales. After 14 years as a hard-hitting detective, the radical career switch was a jarring change for Patrick. He recounts his first years as a "miserable time", struggling to learn the ropes and adapt to a new life. However, he persevered and was the top salesman within three years. Through it all, his wife, Lily, was a quiet pillar for the family. A former draftswoman, she gave up her career to care for her sons. Her quiet strength and steadfast love was the rock which kept the family anchored through their trials. Today, Shamus heads Aikido Tai Shin Kai and has a young family of his own. Sean is an Aikido Black Belt despite his Down Syndrome and helps with classes for other Down Syndrome children. Jonah has recovered from his childhood ailments and is an assistant instructor at Aikido Tai Shin Kai. Enoch, too, has recovered from his operations. Patrick credits the fighting spirit imparted by his martial arts training for giving his family the tenacity to cope with the obstacles life hurled into his family's path. 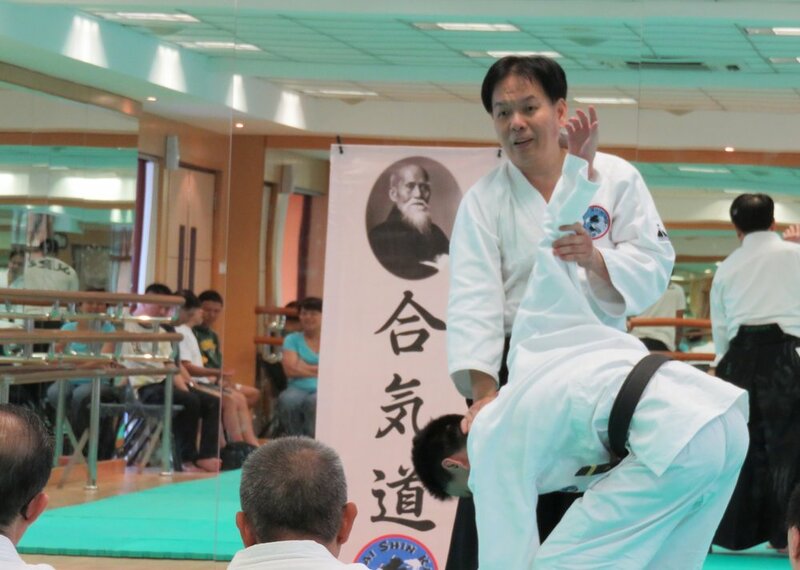 It is a value which he has strived to instil into his sons and one he hopes to pass on to the students of Aikido Tai Shin Kai. 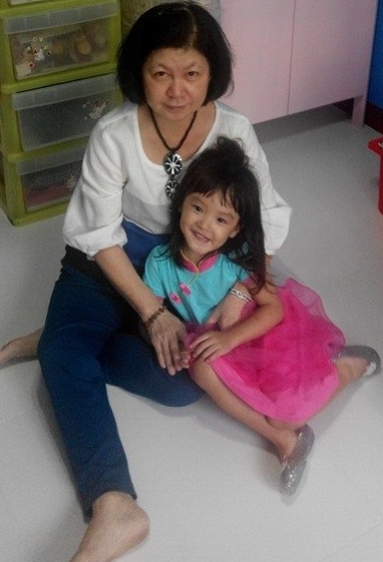 Our family's story was featured in The Straits Times in October 2015. Below is a video accompanying the article.